Free unlimited Wifi and Sky TV. 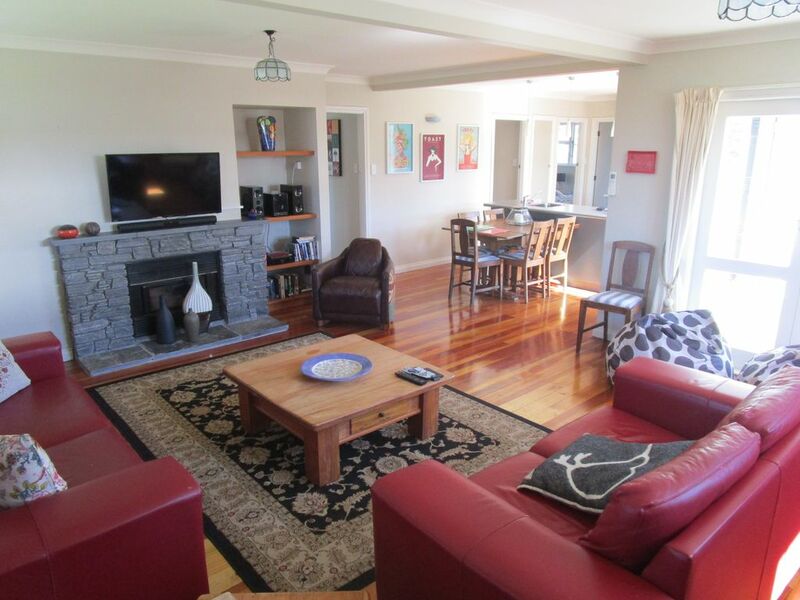 Located only five minutes easy walking to the town square and located amongst the wineries of Martinborough. Lovely refurbished property with polished wood floors and spacious bedrooms and living areas. HeatPump to keep nice and warm in Winter. Air-Con to keep cool for those hot Summer days. Two bikes (and helmets) available for use and included in rate. Please Note: Fireplace is not usable. Offers to guests fabulous indoor/outdoor living. Walking distance to centre of Martinborough Village. Local golf course just a 5 minute drive away. Newly renovated bathroom with new shower and toilet. Air-Con unit in main living area. HeatPump. Wall panel heaters in each bedroom. Off street parking for two cars. Plenty of parking available outside house in nice wide street. Comfortable leather lounge suite and armchair. Two, small fridge in kitchen, normal size one in laundry. All the normal condiments salt, pepper, coffee, tea etc. Lovely solid Oak table that comfortably seats 6 when fully extended. Up to twenty assorted DvDs provided. Martinborough golf course a 3 minute drive from house. The house was warm and tidy with lots of space for the whole family to find their own spots to unwind. Would definitely go back again. We had a lovely stay in Martinborough, New York New York was very comfortable with everything that we needed to add to the overall enjoyment of the weekend. The weather was great so it was very enjoyable to be able to sit outside in comfort to enjoy a wine and nibbles. Feels like a home away from home. Everything you need for a relaxing weekend away and hanging out with friends and family. Lovely home. All comforts and homely. Yummy fresh eggs and some treats. Comfy beds and lovely linen. Ideal for walking or riding around Martinborough. The place was well presented and clean. All facilities were great, highly recommend. A great spot for experiencing Martinborough which ever way you please. The house is clean and tidy and all amenities are easy to use. I would stay again and recommend to friends and family. Lovely sunny house with super comfy beds & thoughtfully decked out with everything to make the stay easy & comfortable. Easy walk into the square & lovely outlook across the road to grape vines!